Moomin Light has a wonderful post ("How will they learn...") about pitching practice and learning sports. Reading it brought up a major perplexity of mine. It starts after the end of an entire public school education of Phys Ed, which every year included the dreaded softball section. You see, I still had no idea how to play baseball. Oh I knew about scoring runs, batting runners in, tagging runners out. I knew about hits, fowl balls, walking to base, and striking out (I knew the most about the last). I knew a good play when I saw one. I knew the rules. But I could not tell what to do with the ball when it came to me in the outfield (I never had a chance to play the infield and I would have been petrified to do so - you get the ball a whole lot more often and so look stupid a whole lot more often). Being a kid who always knew what was going on in the classroom, and was seldom wrong, the befuddlement I felt on a baseball diamond was debilitating, and made me feel a kind of shame close to what I'd have felt if I'd publicly wet myself. I loved throwing and catching, especially with my father's magnificently trained four finger glove. I had a pretty good eye for catching when warmed up. But games never came with any real warm up, or practice, or much of anything but the humiliation of picking teams (I was always last or second to last) and then the worse humiliation of botched plays and striking out. One day several years ago I was walking with a very bright friend, an engineer, who loves to play league softball. I shook my head and said graduation was my ticket to freedom - the freedom to never play softball again in my life. He is a very patient man, and drew me out about what I had hated about softball. Ultimately it came down to never knowing what to do with the ball. Then, in one thirty minute walk, he unfolded for me the strategy of baseball, from constantly planning what to do with the ball, depending on how and when it arrived, to the coach's strategy about batting order. Layers and layers of thinking between the moments of action, with every player planning the game from their slightly different position in the field. Almost like chess with each of the pieces doing the playing. 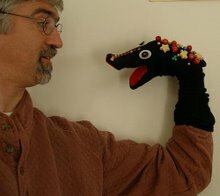 I was agog. Why hadn't any of my Phys Ed coaches ever TOLD us about this? I was especially mystified about the coach who seemed to want to connect with the more intellectual ("geeky" we'd say now) of his students. I would have loved this side of baseball - why had no one TOLD me?! But maybe the trouble is that to them it seemed obvious, like reading and writing seemed to me. Something you just KNEW, so why would anyone imagine you needed to be told. I mean, for just about every other game I quickly find and deliberately delve the layers of strategy. I push myself on Sudoku puzzles, and love the mental move of finding a new wordless pattern that deduces the value of a box. I love to play a neighborhood game of poker every month, and consider the strategy that underlies all the personalities and chance that courses round the table. So I must have turned my back on the brainy side of baseball. The more I've thought about this, the more I've realized that I must have had some mental block - probably built of the humiliation. This gets back to one of the themes of Moomin Light's post - how the atmosphere of school sports makes them impossible for some kids to learn or to like. 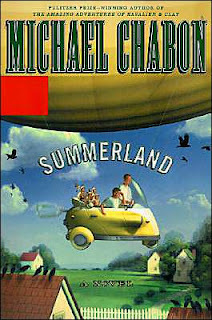 Since that revelation by my friend I have had the beauty of baseball reinforced by reading Summerland, by Michael Chabon. It was recommended by my non-athletic children, and I actually heard it on tape during an extended business trip. It's a terrific story, but it's the writing about the magic of baseball, in particular, and the connections between it and all the characters, that makes this book something special. The phrase that stands out the minute you hear it is, "A baseball game is nothing but a great slow contraption for getting you to pay attention to the cadence of a summer day." Poetry. And the book demonstrates it, over and over again, delightfully. I look back and grieve for something I can't have now. I can sense, from this book, how marvelous it might have been to really PLAY baseball as a boy. How all emcompassing this game could have been for me. I try to imagine playing now and, like my artwork, just starting from where I am, but it's no use. I know that there is a boyish simplicity that makes the present so potent, and you lose it when you become an adult. You can recapture something like it with effort as you get older and wiser, but it's never the effortless, wide-eyed, open armed, completely out of yourself, absorption of childhood. That's what I'd like to stretch over a baseball game. And then I consider my introverted and introspective innards, and for how long I've second guessed everything, and I realize I was already divided inside before I could throw a ball or understand the rules. I was already battling perfectionism and prefering to do things I could do flawlessly to things that really challenged me. I hated to be wrong, or to look like a fool. I could relate to the frustation and hopelessness of Ethan Feld, the "worst ballplayer in the history of Clam Island" as the main character is described in Summerland. His battles through the book with his own past failures, his inability to let go and just DO, do his best, learn from the doing, eventually had me talking out loud in the car. I was so painfully there with him, and I am still so painfully bound up, so unable to step away from the critic who stands beside the batter's box in my mind and messes up my swing. It is still so hard to learn to play. And in the end that's what I have learned by writing this essay. My coaches in school could not have imagined my real problem. In the phrase "Play Ball!" my problem has always been with the first word, not the second. Perfection while playing baseball?! I'd have settled for anything short of making a total fool of myself! I've begun to think lately that the top class of challenges are the ones where I don't even know how to start. So far from perfect that I'd be terrified to try at all. I realize that I could have used baseball this way... I don't know if I'd have been brave enough. Joining choir was one of these for me. So was learning to rollerblade. So was my part of founding the art gallery in Hillsborough. 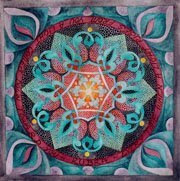 If I accomplish anything I get a huge rush of joyful unreality, not quite believing I'm doing it. "Look! I, Cornelius Hackle, sport, I'm dancing!"